The Polygon Triangular Concept is a 3-dimensional view of Aro-healing’s Diagonal Line Concept. Why another Concept? Did you notice that I mentioned 3-dimensional? It has more than one purpose. The Polygon Concept serves Aro-healing’s physical somatic (physiological) combination treatments, ARC’s psychosomatic treatment programs as well as Arochology’s psychological combination treatments as a Health Science. + The definition of a Therapeutic Massage as done by a Health Club Massage Therapist differs from that of an Aro-health Massage Therapist. Can you pinpoint the difference? The definition of a THERAPEUTIC MASSAGE AS done by a HEALTH CLUB Massage Therapist is A combination of Deep Tissue, Myofascial Release and Trigger Point Massage. 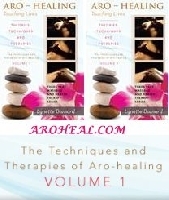 Aro-healing’s definition of a Therapeutic Massage as done by an Aro-health Massage Therapist is a combination of Aro-healing’s thumb-pressure Technique, Aro—Reflex Stimulation and Aro-healing’s Touch Therapy. + What does deep tissue massage require? Deep tissue massage requires an understanding of anatomy and physiology. + What is Fitness Kickboxing? Fitness Kickboxing is a combination of Martial Arts, Kickboxing and Aerobics. It is a workout that can improve strength, co-ordination and balance. + What is a digon? A digon is a closed polygon with two corners and two sides. + Name 5 characteristics of diagonal lines. Diagonal lines are more dramatic than horizontal or vertical lines, unbalanced and filled with restless and uncontrolled energy, rise or fall and convey action and motion. Their kinetic energy and movement creates tension and excitement. 1. Connecting two non-adjacent angles or vertices of a polygon or polyhedron, as a straight line. + What are primitive reflexes? Primitive (infantile or newborn) reflexes are reflex actions of normal infants but not neurologically intact adults—in response to particular stimuli. + What is locomotor and non-locomotor movement? Locomotor movement is when you move from one place to another and non-locomotor movement is moving on the spot without going anywhere. + What is Aro-Reflex Stimulation? What does Aro-Reflex Stimulation do? It allows the blood to circulate. Removes toxins from the body. Declogs a sluggish system. By repeated activation new connections at the CENTRAL NERVOUS SYSTEM (CNS) level are activated. Over time this will improve or restore stability, movement, posture and breathing awareness, so that central control becomes automatic. There is no meridian therapy. It works more on the concept of lymph blockage and clearing of any congestion in the body. The areas of the body that are stimulated are zones of support, which form the basis of upright posture. + What does Aro—Reflex Stimulation and Bodywork do? It improves the reflexes of the body—for sport training—as in boxing. Reflex stimulation is essential for training. During this process the entire muscular system is involved in a well-defined and co-ordinated way. It stimulates specific reflex arcs in the body. Reflex Stimulation is used in conjunction with bodywork to improve muscle balance and ease of movement. For treatment, rehabilitation, exercise and performance. + What is ARC Reflex Pressure Point Therapy? Aro-Reflex Stimulation combined with Aro—Reflex Stimulation and Bodywork forms an all-in-one complete new Therapy Technique called the ARC Reflex Pressure Point Therapy. With the ARC Reflex Pressure Point Therapy you can go mad. All you have to remember is that soft tissue does not have pressure points. Find a sensitive area under the foot, draw a triangle to the body, skip the soft tissue, and concentrate on the areas along the lines of the triangle. Use the Aro-technique with the thumbs in a non-locomotor position for two seconds before you move onto the next point in the line; which is adjacent to where you lifted the tip of your thumb. This is an excellent treatment for drug dependency and substance abuse. If you want to stop smoking, give ARC Reflex Pressure Point Therapy a go. 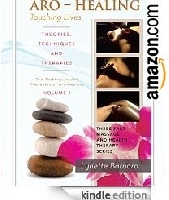 Remember that this Therapy is similar to Acupressure. What does ARC Reflex Pressure Point Therapy do? There are so many different causes of back pain that it’s often difficult to find a single factor. If your job requires heavy work, being in the same position for long, bending, twisting, lifting or repetitive movements, you are likely to experience back pain. Manual workers, office workers, nurses, drivers, mothers of small children and the elderly are all at risk. Even something as simple as poor posture can give you aches. + What is the best way to lift objects to avoid back pain? Never stoop to lift an object. Stand by the object, with your feet about 12 inches apart and bend your knees, keeping your spine straight. Pull the object close to your body when lifting it, avoiding jerky or sudden movements. There are several physical causes of back pain. A nerve trapped between two vertebrae can be very painful, as can arthritis in the spinal joints. Inflamed or strained muscles or tendons, restricted joints and problems with the ligaments can all cause discomfort. Stress can contribute to back problems and if your back muscles are tense, you are more likely to injure your back. Illnesses can also be responsible, such as shingles, gynaecological and kidney problems, to name a few. + IS BACK PAIN SERIOUS? Most causes of back pain are not serious. In fact, in nine out of ten cases, no single cause of the pain can be found and doctors refer to the pain as ‘non-specific’. The spine consists of 24 vertebrae stacked one on top of the other. Because of the way our bodies are made the vertebrae in the lumbar region take the most strain. Many hospitals are now running pain clinics designed to help people with persistent or chronic pain to live normal lives. They offer a multi-faceted approach towards pain. They are staffed by a number of experts including doctors, anaesthetists, physiotherapists and psychologists. Some of the clinics offer alternative therapies such as acupuncture and massage. In cases where your pain can’t be cured you’ll be taught ways to manage it. One aim is to cut down on the number of painkillers. Research has shown that the more you take the less effective they become. You will be taught relaxation and breathing techniques which are designed to help you avert pain and exert more control over it. Your family may also be involved in helping you to reach your goals and encourage you not to feel defeated by your pain. Research shows that back pain sufferers can show a significant improvement after a 6 to 8 week program, and the majority of those who are unemployed because of pain are able to return to work. + What happens when someone has a ‘slipped disc’? The term ‘slipped disc’ isn’t accurate. Discs don’t slip, but they can stick out from between the vertebrae. This usually happens when the disc has been damaged and the jellylike core has been squeezed out into the spinal canal, pressing on the nerves. + How can I avoid an aching back during the later stages of my pregnancy? + I ‘pulled’ a muscle in my back playing sport. Can massage help? Massage can relieve back pain caused by muscle tension, stress and strain. As the muscles are eased out, the spine becomes more mobile. Massage also triggers the release of endorphins, the body’s natural painkillers. + Is the Alexander Technique a way of massaging the body? No, Alexander Technique is a Posture Therapy. Although we are born with the natural ability to use our bodies correctly, we soon develop bad habits. This posture therapy replaces the bad body movements we have acquired through life with the natural poise we were born with, helping us to move gracefully and effortlessly without unnecessary strain. + I heard about the Alexander technique from friends and would like to undertake the training. It should be pointed out that Alexander technique is educational and not a way of curing specific ailments, although some doctors may recommend it in addition to their usual treatments. It aims to address postural imbalance, and is of obvious use to actors, dancers, musicians and athletes. However, it has an added benefit of a number of medical problems such as back pain, arthritis, breathing disorders like asthma, and many stress-related diseases. It is well known to increase a person’s sense of well-being. For this reason it is taken up by ordinary people who welcome its positive effects on the general functioning of the body and to deal with stress in particular. In fact, the majority of people who studied this technique swear that it is the best method to unwind mentally and physically. They say that it is simply a relearning of a natural, but forgotten balance. + What is the Alexander Technique and what are its benefits? The Alexander Technique is a way to feel better and move in a more relaxed and comfortable way—the way nature intended. An Alexander Technique teacher helps you to identify and lose the harmful habits you built up over a lifetime of stress and teaches you to move more freely. If you are ready to feel more comfortable in your own body you should give the Alexander Technique a try. 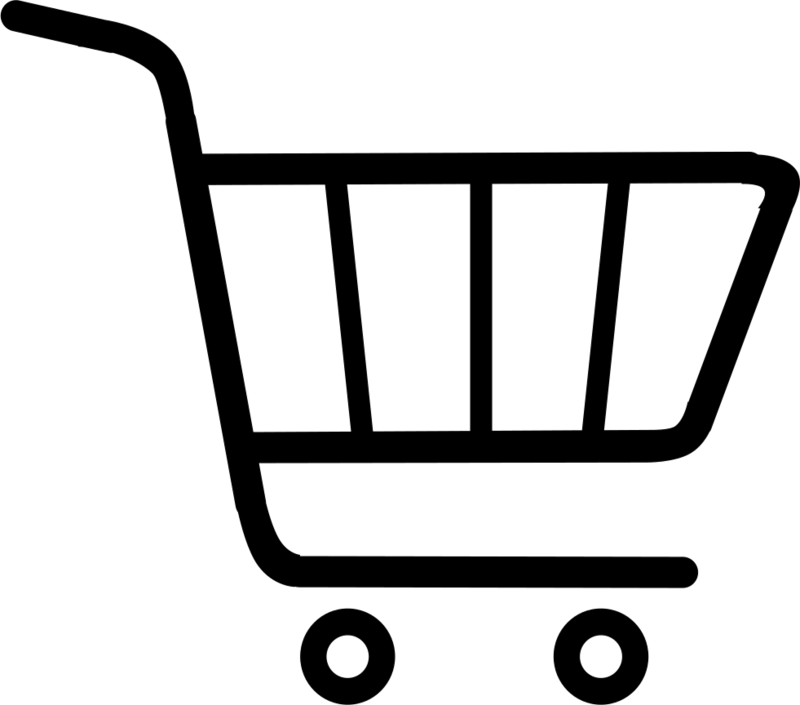 · You suffer from repetitive strain injury or carpal tunnel syndrome. 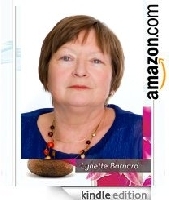 · You have a backache or stiff neck and shoulders. · You become uncomfortable when sitting at your computer for long periods of time. · You are a singer, musician, actor, dancer or athlete and feel you are not performing to your full potential. The Complete Guide to the Alexander Technique is the most comprehensive source for information about the Alexander Technique worldwide. Robert Rickover teaches the Alexander Technique in Lincoln, Nebraska and is the author of Fitness Without Stress—A Guide to the Alexander Technique. + Do you do Traditional Thai Foot Massage? Aro-healing does Reflex Stimulation and Pressure Point Therapy, but here is information on traditional Thai foot massage. Thai Foot Massage takes its origins from China where the art has been practiced for over 5000 years, and Thai Foot Massage, as seen everywhere in Thailand today, has developed from Chinese, Japanese, and Korean foot masseuses. Traditional Thai Massage and Thai Foot Massage complement each other beautifully. Thai Massage balances the elements of the mind and body, while Thai Foot Massage stimulates the internal organs, giving the receiver a holistic treatment. Shiatsu is a Japanese massage therapy. This therapy uses pressure points similar to acupressure massage to balance the flow of energy. Stimulates the circulation hormonal system and the immune system, releases toxins, and promotes healing in the body. This massage therapy helps to reduce blood pressure and muscle stiffness. Shiatsu should never be used in place of medical treatment and care. You should never stop or reduce any medication without the approval of your doctor. Consult him before you start any course of shiatsu treatment. Shiatsu is to apply pressure to parts of the body. However, as can be expected, there is much more to shiatsu than this. A constituent practice, Anma, is a similar technique to which parts of the body are pressed and rubbed. Anma was a recognized practice around the 7th and 8th centuries. All in China and after phases where it was in and out of fashion, in the late 18th century a detailed book on the subject was produced. The underlying principle of this technique was that of meridians, or channels of energy and pressure points—both of which are familiar ideas today. Interestingly, many of the early practitioners of Anma were blind. The western input of massage into shiatsu can be traced back a very long way and it was certainly mentioned at the time of Hippocrates, several hundred years back. Although East and West have different viewpoints on health and life, these can complement one another. The Eastern belief is of a primary flow of energy throughout the body, which runs along certain channels known as meridians. It is also believed that this energy exists throughout the universe and that all living creatures are dependent upon it as much as on physical nourishment. The energy is known by three similar names, ki (or qi), chi and prana in Japan, China and India respectively. + I always thought that an osteopath was the same thing as a physiotherapist, but I discovered this wasn’t true. What are the facts about physiotherapy? Physiotherapy is about mobility—a form of physical exercise. It uses manipulation and massage—plus a variety of other methods, to give relief from pain and restore movement where there is injury or disease. Some physiotherapists specialize in manipulation and their work is similar to osteopaths who treat skeletal disorders, but physiotherapy covers a wider sphere of medical practice. Physiotherapists work as part of the health care team. 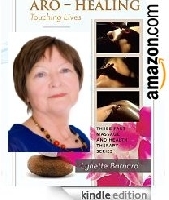 It is the most well-known and accepted therapy among all the alternative therapies. It can be used for the relief of pain, particularly with the conditions related to the spine. Chiropractic massage therapy can also be used for a diverse number of conditions. + What is a Swedish Massage? The term “Swedish Massage” refers to a variety of techniques specifically designed to relax muscles by applying pressure against deeper muscles and bones and to rub in the same direction that the flow of blood returns to the heart. + What Happens During a Sports Massage? It is a type of Swedish massage that stimulates circulation of blood and lymph fluids. Some sports massage movements use trigger point therapy to break down adhesions (knots in the muscles) and increase range of motion. Pre-event—a short, stimulating massage 15—45 minutes before the event. It is directed towards the parts of the body that will be involved in the exertion. Post-event—given within an hour or two after the event, to normalize the body’s tissues. Restorative—given during training to allow the athlete to train harder and with less injury. Rehabilitative—aimed at alleviating pain due to injury and to return the body to health. + When Should I Get A Sports Massage? A sports massage is a good choice if you have a specific problem—a tender knee from running. It is also a good idea to see a movement therapist who can help you identify and correct the movement pattern that might be causing your injury in the first place. The therapist generally focuses on the problem area (e.g. frozen shoulder or pulled hamstring) rather than giving you a full-body massage. Sometimes men who are new to a spa prefer to ask for a sports massage, even if they don’t have an injury—they reckon it sounds more masculine. It’s all right. No matter what type of massage you choose, the therapist should check with you about your needs and expectations. + Understanding Head Impulse and Vestibulo-ocular Reflex Head Impulse Testing Why is it necessary for the clinician to move the patient’s head? Why can’t the patient just turn his own head while looking at the target spot? Firstly, it sounds like an easy thing to do, but it isn’t. Some people, even if they are very intelligent, just can’t do this, try as they may! More importantly, if the patient moves his own head, he can freely generate a corrective eye movement at the same time as he moves his head. Just as he can voluntarily control his own head movement, so he can willingly control his own eye movements. Active voluntary control of the patient’s head and eye movement just does not provide the probe of the inner ear function which we obtain so well if the patient’s head is turned in unpredictable directions by the clinician. We found that patients doing the head impulse voluntarily (by actively turning their head) quickly learn to make an early saccade during the active head movement, which is hard to detect—another version of the covert saccade. The clinician cannot see any saccade even though the vestibular system may be non-functional. + Why measure eye movements to test inner ear balance function? The patient’s problem is in his ear so why not measure ear function rather than eye function? The eye movement response to a head turn is a very sensitive indicator, tool or probe of just how well the balancing mechanism of the inner ear functions. There are very strong fast neural projections from the inner ear to the eye muscles. + Can we give the stimuli regularly (using a metronome)? Why is it necessary to randomize the direction of the head turn? If each impulse is given in a very regular fashion (e.g. 3 seconds between each impulse and always alternating directions) the patient can quickly learn to either blink just at the start of the head turn, or generate a covert saccade, so the clinician misses seeing any deficit. The test should not be given at regular intervals—the timing when each head turn is delivered should be random. Unpredictable directions and unpredictable intervals minimize the chance of learning, affecting the test results. We normally aim at about 20 impulses for each direction. Although the first impulses usually tell the whole story, the rest only confirms it and give the clinician greater confidence in the results. In some patients it is difficult to deliver 20 impulses in each direction—the patient may have a stiff neck or not be able to totally relax his neck muscles. There is no absolute minimum; it really depends on the quality of the responses to each trial. If there is any doubt, the stimulus is easy to give and the measurement takes only a few minutes more. In a small number of the impulses the calculation of VOR gain becomes less reliable; there are so few values. + How big should the head movement be? Even small head turns can be valuable in showing a loss of function. The important thing is not how large the head turn is, but how abruptly it starts. (It should start abruptly through a small angle). If the head is turned slowly through this angle, there is no need for the patient to make any corrective eye movement. The clinician does not detect the deficit. + Why do we have this vestibulo-ocular response? The corrective eye movement response is used to provide stable vision during the head movements of walking, running, driving and other normal activities. This very simple eye movement response is an indicator of the function of one part of the balance system of the inner ear. + Can we suppress this response? Healthy people can almost totally override the vestibulo-ocular response i.e. if you read a book on a bus going around a corner—you want to keep your eyes on the text rather than having them driven off the page by the vestibular input, automatically correcting for the angular turn. It is abilities like this overriding (or VOR suppression) which are an unnoticed, but essential part of everyday living that make clinical testing of vestibular function more complex than to test hearing. With hearing there is such a simple output—do you hear that sound? Sounds can’t be suppressed or “shut out” in any way analogous to how the vestibular information can be. By restricting our measurements to only the start of these brief unpredictable head turns we can selectively probe the function of the semi-circular canals, since it takes time for this VOR suppression to work. + Is the patient’s understanding of the instructions important? It is vital that the patient understands the instructions—that he has to keep looking at the fixed target—to keep his gaze stable and not to blink during the unpredictable movement. He must not try to “help” the clinician by looking ahead, or where his head is going—he must not turn his eyes with his head. + Why has it taken so long to develop this system? We need cameras that are very small, fast and lightweight, and can comfortably fit to the head with goggles which have minimal slip. + What is the worst kind of error with this system? Slip of the goggles. If the camera slips on the head then it appears as if the eye has moved relative to the camera. A real eye movement and the movement of the camera relative to a fixed eye both generate the same effect on the camera—the image of the pupil of the eye moves across the camera sensor plane. This is the worst artifact. We want to measure real eye movements relative to a fixed camera, not artificial eye movements. To avoid camera slippage, the camera should be tightly fitted to the head (the test only takes about 5 minutes, so it won’t cause discomfort for too long). But if it is not tight enough you might as well not do the test. The operator’s hands must be well away from the goggles and the goggle strap. + How do we maintain control over the stimulus? In clinical testing of hearing, precisely controlled stimuli are presented through calibrated headphones and the patient’s responses are measured. In clinical testing of the vestibular system, this kind of presentation of controlled stimuli is just not feasible. Instead we present vestibular stimuli which are not well controlled—a head turn by a clinician can vary from one trial to the next, but we rely on the fact that we measure the stimulus exactly each time and relate each response to that stimulus. In some respects this is an improvement over testing of hearing, since we actually measure what the stimulus is on each trial, rather than to assume that a calibration check taken a few weeks before, guarantees the stimulus value.